← Remember When M&M’s Weren’t Annoying? 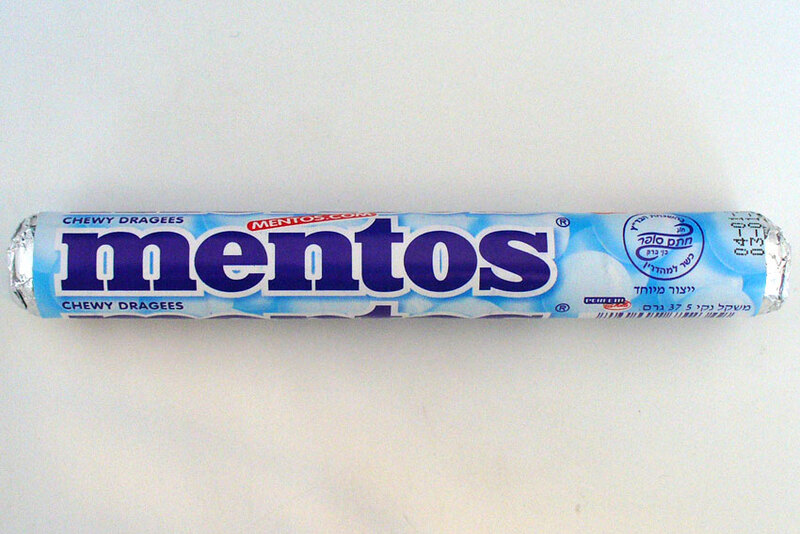 Mentos Not Only Give You Fresh Breath, They Give You Genius Bursts of Energy! And probably cavities too, as they are made of sugar, glucose syrup, hydrogenated coconut oil, gelatin and other fun stuff. But who cares because they make you COOL.